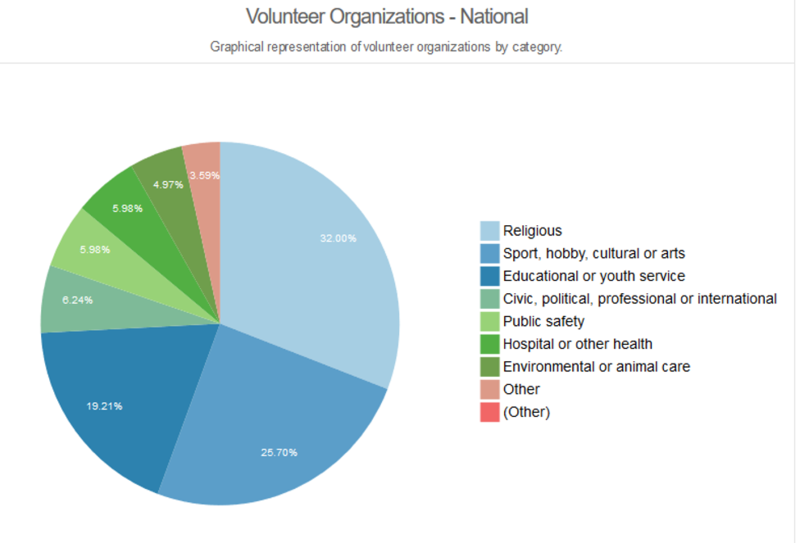 Volunteers are an important resource for any nonprofit. There’s no way you can do everything yourself to run your organization. It’s just not physically possible. While you’re in growth mode, volunteers can help you get things done, deliver services, run your programs, and help with the thousand little things that must be done. In short, volunteers can help you grow your nonprofit faster and more affordably. Yay! 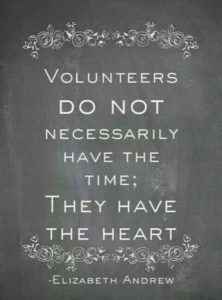 Finding and keeping good volunteers takes time and effort. Boo. Seriously though, it’s really worth it. When you recruit well and get good volunteers, it can change the game for your nonprofit. Part of keeping volunteers is thanking them sincerely and frequently. This is a part that lots of nonprofits don’t do well. So, if that’s you, let’s change it. There’s no better time to show your appreciation than during National Volunteer Week each April. 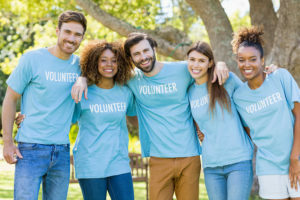 It’s a great time for you to celebrate volunteer service to your nonprofit and thank those who give of their time to help fulfill your nonprofit’s mission. People volunteer for a variety of reasons. For some, it’s a chance to give back or to make a difference in their community. For others, it gives them a chance to build skills or feel like they’re part of a team. For most, it just makes them feel good. More people than ever before are volunteering. 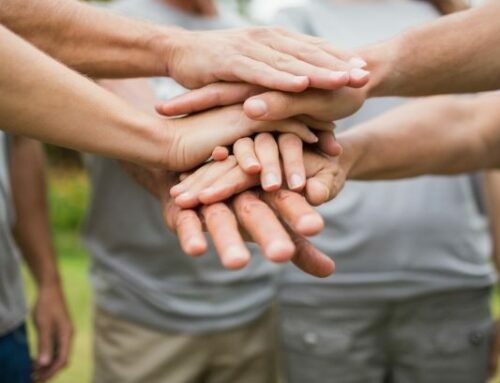 According to the Volunteering in America report released by the Corporation for National and Community Service (CNCS), 77.4 million Americans volunteered in 2018. That’s about 1 out of every 4 people in the U.S. Volunteers engaged in a variety of activities. Look what’s first!! Regardless of the motivation, people only stick around if they’re having a good experience. That includes thanking them regularly and meaningfully. Maybe you THINK you thank them regularly, but do you? When was the last time you looked a volunteer in the eye and said “thanks” or jotted down a note expressing your gratitude? Time can easily slip away and maybe it’s been months since you last thanked them. For the volunteer, it’s crappy to work tirelessly and not feel appreciated. Been there, done that, got the t-shirt. Even if you HAVE been thanking them regularly, now is a great time to show your appreciation. This week is National Volunteer Week (April 7-13, 2019) and every other nonprofit will be showering their volunteers with gratitude, so don’t get left out. It’s polite. Didn’t your mama teach you to thank people when they do something nice for you? They’ll come back. When people feel appreciated, they’ll do more of what they’re already doing. They’ll come back and become loyal to your nonprofit. They’ll advocate. They’ll talk about their experience of volunteering for you and how much they love your organization. They’ll bring their friends. As they talk about their own experience, they’ll invite their friends and family to join them, magically growing your volunteer base. They might give money. Engaged volunteers sometimes become donors, especially when they can direct their donation to the area where they serve. They might make great Board members. Your volunteer base might serve as a source for new Board members. While they’re volunteering, you can evaluate their skills and dedication to see if they have what you need on your Board. It’s good for their health. Giving your time gives you something to do that makes you feel good, decreases depression, and creates a sense of fulfillment. 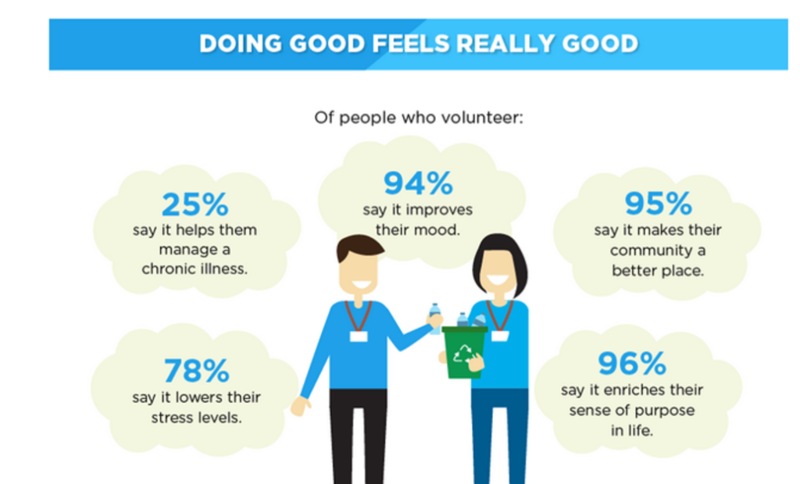 In short, people experience the “Happiness Effect” when they volunteer and feel appreciated. It’s valuable to your bottom line. Volunteers add a lot of value to your nonprofit. 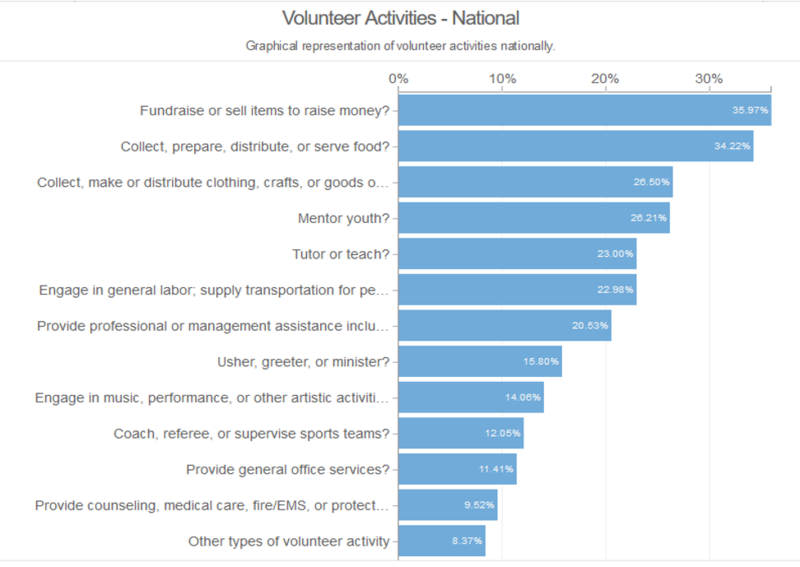 According to Independent Sector, the current value of a volunteer hour is $24.69. Seems like if someone is giving you a couple of hours a month or a week, they deserve to be properly thanked! So, what are some good ways to thank nonprofit volunteers? There are SO many ways to show your appreciation to nonprofit volunteers that you should easily be able to find something that fits your situation, your schedule, and your budget. 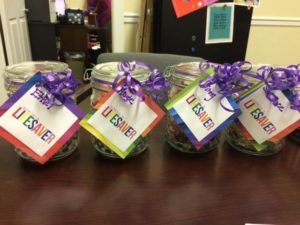 If you need ideas, here are some clever ideas for thanking volunteers that I pulled together for you. Many of them are free and the few that cost money are inexpensive. Handwritten notes with personal notes of appreciation. Homemade cards that show you cared enough to take the time to create something unique. When’s the last time someone made YOU a homemade card? Thank-you video calling the volunteer by name and thanking them for something they did. Phone call from a Board member. This is a powerful way to thank anyone, showing them the whole organization appreciates them. You’ve got time to plan and execute something simple yet special for those who give their most precious resource: time. It doesn’t have to be costly, it just has to be sincere. Be careful of anything that looks expensive (volunteers don’t like you spending lots of money on them) or is inconvenient for them (they’re busy people and they probably won’t show up for a Volunteer Appreciation Party even though you wish they would). Food in the break room. Doughnuts and bagels can be a nice treat or a fruit tray for health-conscious volunteers. Thank-you sign by the entry door. 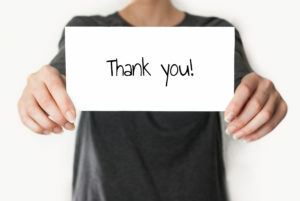 Express your gratitude publicly with a simple thank-you sign. Letter to the Editor. Make your appreciation even more public by writing and sending a letter to the Editor of your local paper. Blog post. If your nonprofit has a blog, write a thank-you post to your volunteers and include some photos of them in action. Social media. Thank your volunteers on your Facebook page or Instagram account, tagging individual volunteers. Just be careful not to leave anyone out – you don’t want any hurt feelings. In certain situations, it can make a volunteer feel really special to acknowledge special milestones like their first 100 hours of service or their 5th year of volunteering with you. Honoring those during National Volunteer Week can be a very special occasion to faithful nonprofit volunteers. Get creative – you know your volunteers and what will be meaningful to them. Don’t forget that your Board members are volunteers, too. Be sure to thank them for their service, especially if they’re good Board members! Volunteers might work for free, but that doesn’t mean they’re not valuable. In fact, they’re invaluable! People get to feel good in exchange for giving their time and it’s your job to help them feel great by thanking them regularly, especially during National Volunteer Week. Use Signup.com for free online signup sheets or online scheduling for volunteers. Project SmartSprout members check out the 14-page Volunteer Appreciation Swipe File we shared a couple of weeks ago. You’ll find several really good ideas you can easily implement this week. Time to thank your Volunteers!